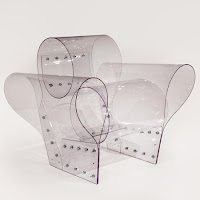 Looking for something new and unique style chair if yes then get ready here is an interesting style of limited edition Well Transparent Chair it is designed by Ron Arad. This is the amazing look and unique style of Well Tempered Chair. In London at Barbican this polycarbonate edition is component of his work that will be exhibited. This unique chair is available in latest design with three pretty good colors green, light pink or brown all are looks attractive you can comfortably seat on this chair it is perfect for all kind of person either overweight or thin. 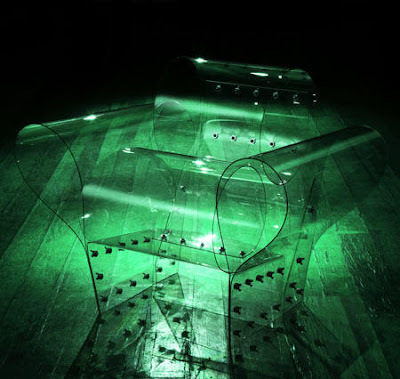 This amazing Well Transparent Chair is finished from curved plastic sheets that have been bolted together under strain. 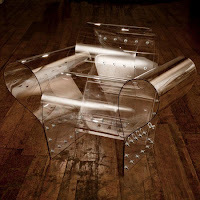 The 2010 Well Transparent Chair is a modern re-interpretation of the imaginative. The basic architecture of the chair linger the same, but it has been re-imagined by Arad in see-through polycarbonate, drastically changing the persona of the piece. I have found many kinds of latest chairs but this one is totally different from others its quality is also excellent I would like thanks to Ron Arad for presenting this good quality of unique chair it cool and attractive Priced at £5,000 ($7,800), if you are interested for buying this chair then it will be accessible solely at the Timothy Taylor Gallery and at Barbican Art Gallery!